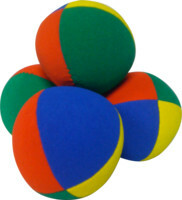 Comet Delux Beanbag (Multicolored) Feels like a Peach! I've been using the Comet BeanBag for a few months now. I love the feel of it! And the grip is awesome! Would definitely recommend!